Who’s pregnant right now? Raise your hand! Now keep your hand raised if you’re due pretty soon -- as in, in the next month or so. You could win $10,000 if your baby comes on the same day as Prince Harry’s and Meghan Markle’s, courtesy of PepsiCo's tea brand, Pure Leaf. 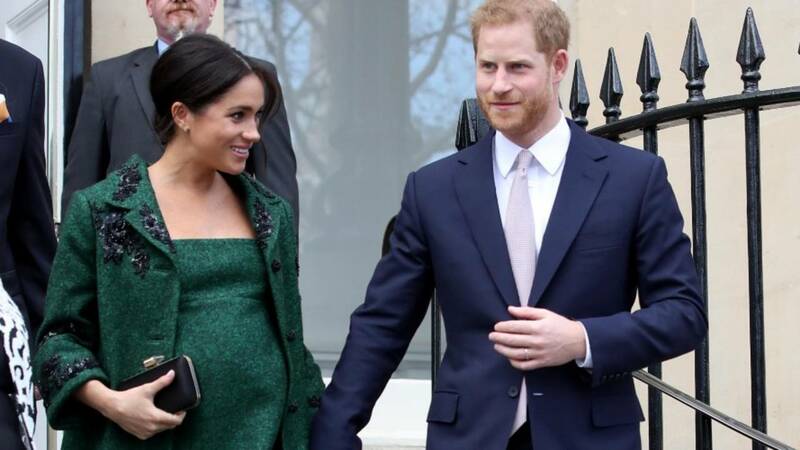 We don’t have an exact due date on Baby Sussex, by the way, but most reports agree the royal baby is likely expected in late April or early May. As it was first reported by TODAY, Pure Leaf will reward American families with babies born on the same day as Markle's with the opportunity to enter a “Royal TEA” contest. The winner will receive $10,000 toward the baby’s education. Nine other families will get, at the very least, a formal family portrait session. Here’s how it works: Families who have a baby on the same day as the duke and the duchess will get seven days to enter the contest. You just have to take either a family photo, a picture of your newborn or a photo of a baby accessory and upload it on your Twitter or Instagram, including the hashtags #PureLeafRoyalTEABaby and #Sweepstakes. You also need to follow Pure Leaf on whatever platform you’re using -- Twitter or Instagram. From there, officials with the company will notify 10 winners chosen at random from the eligible pool of applicants. Those 10 families will schedule a photo shoot with a world-renowned New York City photographer, which will take place at a location of their choosing. The process is meant to be similar to the formal photo shoot done by the British royals. During the photo shoots, one of the 10 families will learn they’ve won the grand prize, $10,000. The runner-ups will still have those photos for a lifetime! Fifty other families also will win $100 to Shutterfly.